November 6, 2017 | 3 p.m.
“Just because you can, doesn’t mean you should,” says John Roise, president and owner of Lindsay Window & Door, LLC. This is the philosophy he’s adopted through a lifetime of overcoming trials thanks to “the grace of God.” Roise’s journey has taken him from his upbringing as a “poor farmer,” to serving as a draftee in the Army during the Vietnam War, to a successful career in the world of corporate banking, and now to thriving entrepreneurial ventures with multiple businesses across the U.S. His rags-to-riches story is the very reason Roise—a longtime Bethel donor—believes in giving rather than spending the resources he’s acquired. “They’re God’s, not mine,” he says. When Roise returned, he began a 20-year career with Wells Fargo Bank. “They paid me more than I was worth, and gave me more than I ever deserved,” he says. “[But] I was always more of an entrepreneur than I was a corporate employee.” During his time at the bank, Roise took on various side businesses and served as a landlord of “dumpy rental units.” Eventually, he decided he wanted to transition to full-time entrepreneurial work. “I had four goals in life,” he says. “I wanted to share my faith in Christ whenever I wanted to; I wanted to hire people who need a second, third, and fourth chance; I wanted to speak out on social issues; and I wanted to go on [regular] mission trips.” Roise believed that achieving all four would only be possible with the authority of ownership. 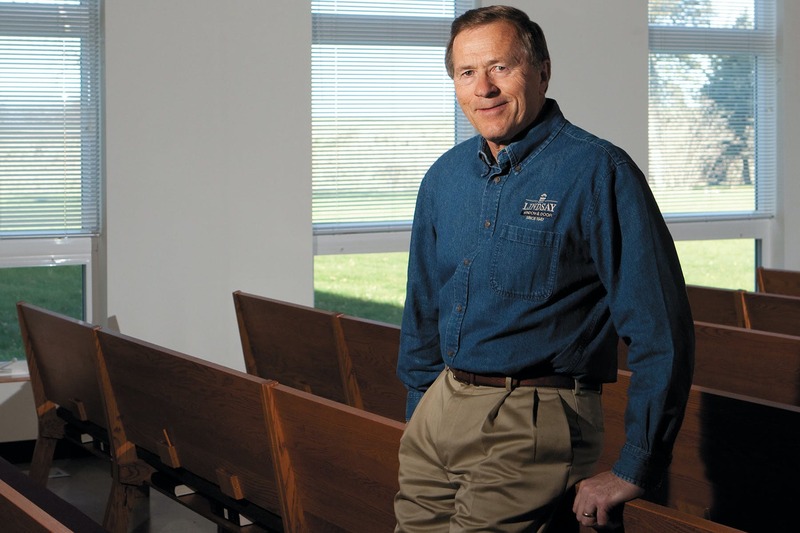 So, when the opportunity presented itself to purchase Mankato-based Lindsay Window & Door, he says God encouraged him to “take a step of faith” and pursue it. Eventually—through long hours, hard weeks, missteps, and unforeseen challenges—the company began to thrive. Today, it has expanded to locations in St. Louis, Chicago, Atlanta, Seattle, and Southern California, in addition to the headquarters in Mankato. It was around the time of Roise’s transition from corporate banking to full-time entrepreneurship that the University of Minnesota alum became acquainted with Bethel. His oldest son, Geoff ’93, came to campus for a visit and immediately decided to enroll. “It was the greatest experience a college kid could have,” Roise says. “He got a great education at Bethel.” The Roises’ second son, Nathan ’97, is also part of the Royal family. Despite Roise’s love for Bethel, he didn’t become truly invested in the university until Gunnar Kronholm—who served Bethel in a variety of influential roles spanning 40 years—encouraged him. Since then, Roise has served terms on both the Bethel University Foundation Board of Governors and the Bethel University Board of Trustees. He and his wife have also given financially to Bethel, including giving stock gifts. "It's a win-win," Roise says. "You can put it in a Donor Advised Fund, and you can give it to whomever you want, whenever you want...It's a good option for everyone, particularly now that the market is at an all-time high." Bethel is only one of the organizations to which the Roises have dedicated their time and finances. “We’re involved with organizations that are dedicated to three things: evangelism, discipleship, and helping the poor,” Roise says. Consequently, Roise serves with the Salvation Army, is on the National Board of Trustees for Fellowship of Christian Athletes, has been on the Minnesota Teen Challenge Board of Directors for 20 years, and is very involved with Campus Crusade for Christ (Cru). Jim Bender, director of alumni and family relations, says their service perfectly exemplifies what it means to give “the Four Ts.” “They gave their time by serving on the Bethel Board; they give their talents by teaching us to use business acumen to be a better organization; they give their treasure; and they touch many Christian organizations as the hands and feet of Christ,” Bender says. Since those years, Roise and Sue have been “walking the walk”—even in the face of their own hardship. In May of 2001, Sue was diagnosed with a rare form of multiple myeloma and told she only had about a year left to live. Though she’s courageously continued to battle the disease, it hasn’t been easy. But, just as they’ve dedicated every one of their businesses—including a chain of barber shops in San Diego, California, and their recent venture of opening a donut shop in the Minneapolis skyway—to God, Roise and Sue have given her health, and life, over to Him. 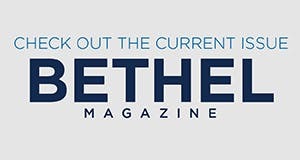 Learn more about how you can make a difference through giving to Bethel.